Tragedy and comedy are supposed to be the two major themes in theatre. This movies takes the former route, but somewhere inside of it’s themes, it finds an honest story that doesn’t suffer from ill-gotten sentiment. Joseph Kosinski is American television and film director who is known for his work with computer technology. His directorial debut came from the critically panned Disney sequel Tron: Legacy, which believe-it-or-not, I actually enjoyed. He also worked on the less intelligent copy-cat of Moon – Oblivion, starring Tom Cruise. Thankfully for the majority of audiences, Kosinski brought it back to reality with his third film Only The Brave. In 2007 Prescott, Arizona, Eric Marsh (Josh Brolin) of the Prescott Fire Department is frustrated fighting forest fires when the Type 1 or “Hotshot” front line forest fire fighting crews from afar overrule his operational suggestions to his area’s sorrow. To change that, Marsh gets approval from the Mayor (Jeff Bridges) to attempt to organize an unprecedented certified municipal-based Hotshot crew for Prescott. To that end, Marsh needs new recruits, which includes the young wastrel, Brendan McDonough (Miles Teller), to undergo the rigorous training and qualification testing for the most dangerous of fire fighting duty. Along the way, the new team meets the challenge and the hailed Granite Mountain Hotshots are born. In doing so, all the men, especially McDonough, are changed as new experience and maturity is achieved in fire-forged camaraderie. All this is put to the test in 2013 with the notorious Yarnell Hill Fire that will demand efforts and sacrifices no one can ignore. A movie that demands respect and candor from it’s audience, but also stands up to the challenge of telling an authentic story, with useful subplots and lots of agressive action from Mother Nature. Never have I ever felt more responsible to prevent forest fires then after watching this film, and that’s no dig against Smokey The Bear, but Josh Brolin has a commanding and grizzled appearance that no one dares mess with. I also really enjoyed the evolution of the team as they worked towards Hot Shots certification, and best exemplified by the friendship arc between MacKenzie (Taylor Kitsch) and Brendan McDonough. Pros: We get to see the bureaucracy of firefighting, how it’s employees personal lives are impacted, and emotional canvas of interactions. The bonds these men forged in those mountains are brought to life with sensibility and determination. Cons: While the structure of the film is excellent, and the ending is just perfect, it gets to be tedious in the middle, and the supporting cast gets lost in the wilderness. Miles Teller is starting to come into his own as an actor, and being surrounded by veterans Jeff Bridges, Jennifer Connelly, and Josh Brolin, you can really see how he is a much more convincing dramatic actor then say, Shia LaBeouf. Where the movie falls down is from a lack of real risk-taking with it’s characterizations, which is ironic, given the source material. This is a minor concern though, because of the amazing treatment of these real life heroes and their hometown. 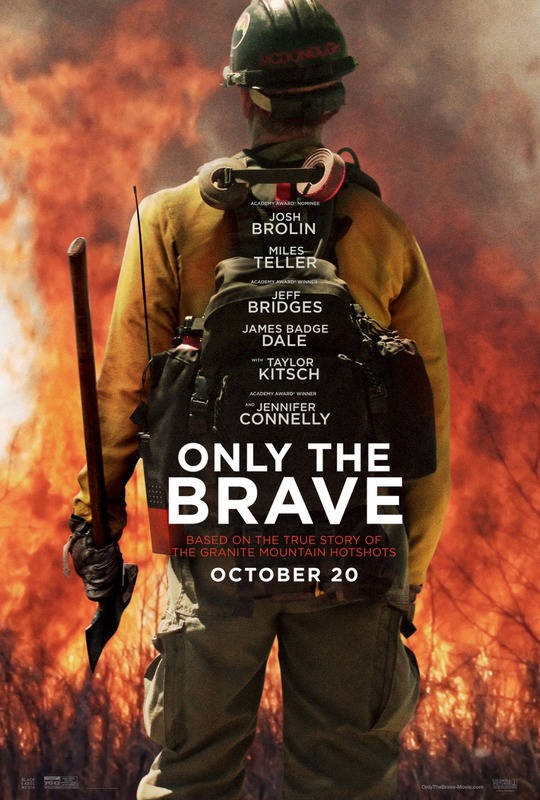 With all that said and done, I think Only The Brave is a worthy addition to any collection that wants and/or needs more biographies and natural disasters in the mix. Without spoiling the ending, it’s a powerful film and not one I will soon forget. And that’s no theory. Speaking of unforgettable movies… Have you seen the original Oldboy from Park Chan-wook? This movies is seriously messed up, but it has such an original story, and is part of Chan-wooks vengeance trilogy. I’ll let Chris and Mike go over the details, because, whether you’ve seen it before and need a reminder, or it’s on your list, I’m thinking this recommendation will finally sway you to give it shot. Yeah, the premise of being trapped in a hotel for fifteen years seems odd, but just wait for the twist – the violence will help you along the way. Check it out! And remember… Like! Comment! Subscribe!